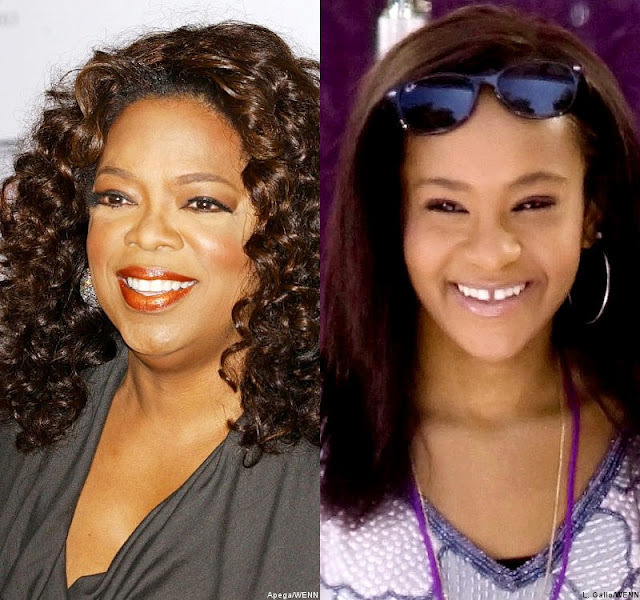 Bobbi Kristina’s First Interview, TALKS About Mom, “Whitney”, With Oprah Winfrey! Oprah Winfrey landed the first interview with Whitney Houston’s daughter, Bobbi Kristina Brown. The teen sat down along with her aunt and uncle, Whitney’s brother Gary Houston, and sister-in-law Patricia Houston, to share memories of the famed singer who passed away on February 11th at the Beverly Hilton Hotel. Whitney Houston’s Family Asks “Authorities” To Find Out Who Leaked Death Scene Photos! The interview took place Friday, and the three also addressed some of the rumors surrounding Whitney’s death and Bobbi’s father, Bobby Brown. As GWL reported, Bobbi Kristina appeared “wasted” at her mother’s funeral, and the family had great concerns for how the teen was handling the tragic loss of her mom. Whitney Houston’s Secret ‘Son’ NOT WELCOME At Singer’s Home Said Cissy Houston! The interview will run on Oprah’s Next Chapter on OWN, March 11. Jennifer Hudson Finally Sets Her Wedding Date!